Provide comments on the former Royal Alberta Museum building. The Provincial Museum and Archives of Alberta was built in 1965 in Edmonton’s Glenora neighbourhood. It opened to the public in 1967 as Alberta celebrated Canada’s Centennial of Confederation. The museum and archives were separated in 2003 when the Provincial Archives of Alberta moved to its own building. 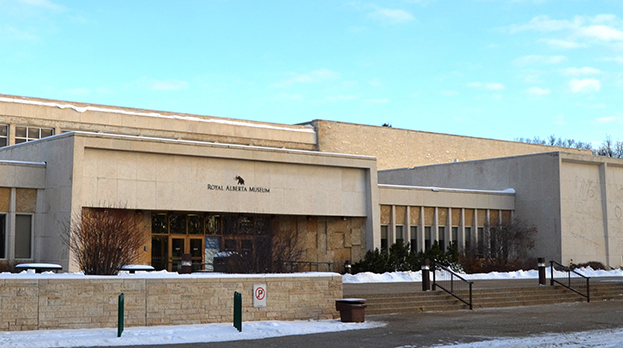 The museum added the word “royal” to its name in 2005 when Queen Elizabeth II visited Alberta to mark the province's 100th anniversary of entry into Confederation. During her visit, the Queen re-designated the Provincial Museum and Archives of Alberta as the Royal Alberta Museum. The museum closed its doors to the public in December 2015 to allow for the move and set-up of artifacts at the new Royal Alberta Museum located in downtown Edmonton. Today the Glenora building may look quiet outside, but inside staff are busy preserving and moving tens of thousands of artifacts – a mammoth move that’s expected to take until 2019 or 2020 to complete. We'll continue to maintain the Glenora building while it's still being used. The feedback we receive will help us make an informed decision about the future of the Glenora building. The information submitted through this website is collected in accordance with sections 33 (a) and (c) of the Freedom of Information and Protections of Privacy Act. Should you have any questions regarding the collection, use and disclosure of this information, please contact Alberta Infrastructure at Infra.Contact.Us.m@gov.ab.ca. If you're having trouble submitting your comments through this form, please email your comments to infras.updatesglenora@gov.ab.ca.